Bored of eating the same meals on your diet? We all know how hard it is to stay on track and motivated when on a diet. You don’t want to be cooking different meals for the family and you are fed up of eating the same uninspiring meals and salads. 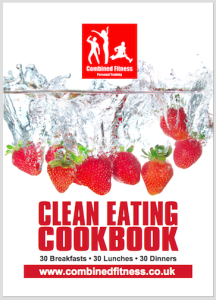 At Combined Fitness we have put together a set of cookbooks that will take all of the struggles and stresses of healthy eating away. These simple to cook family friendly recipes will ensure that you don’t get bored and that you really do enjoy the food that you are eating. 30 days of breakfast, lunch and dinner recipes that are meat free to give you even more meal choices. 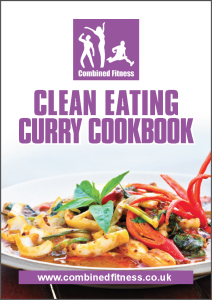 All of your favourite curry recipes packed with flavour that you can enjoy guilt free. 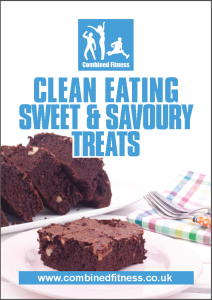 Sweet & Savoury Treats to keep those cravings at bay and for those times when you want to give yourself a treat. 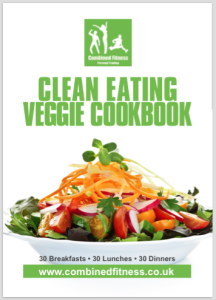 300+ recipes to that are free from wheat, sugar, processed food and dairy. Follow the recipes and you will see a reduction in body fat, less bloating and more energy. Download the books now and enjoy many months of tasty new recipes.